It is not unusual to notice how differently our friends appear or behave when in a large group of people instead of a more intimate gathering of, say, two couples. It’s hard to believe they are the same persons—those we thought we knew! 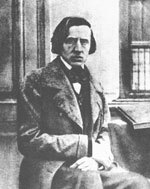 Chopin’s Mazurkas were largely written in sets of four (or five as in the case of Op. 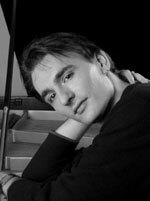 7) with harmonic and stylistic connections woven into the scores from the composer’s insatiable imagination. With over five dozen to his credit, it comes as no surprise that his last composition would be one more essay in the well-used form. Curiously, the only major caution comes from Op. 24, No. 2, which begins the first half of the beautifully balanced CD. What Primakov infuses in charm and ideal naïveté is somewhat dampened by affectation, where a more spontaneous rendering was wanted. Patient digging into the BBC’s live-performance vault can be handsomely rewarded with a rendering of the same work (this time as an encore to a recital captured at the 1983 Aldeburgh Festival) by Mieczyslaw Horszowski. Here, the veteran produces a top register that truly sings, accents that deftly punctuate and a steadier approach that offers compelling, uninterrupted motion in time. From that point forward, Primakov digs deep and delivers many memorable moments. Op. 24, No. 4 is a marvel of ebb and flow where understatement is employed to great effect. The well-controlled inner workings, subtle bass and exquisitely shaped repeated melodic notes produce a perfect storm of art in the dreamy Op. 67, No. 4. The well-spoken, conversational tone of Op. 63, No. 1 harmonically prepares the way as the full-bore leading tone to the mid-point C Minor essay (Op. 56, No. 3), which features narrative exposition of the first rank and a quiet finish that is not coincidentally echoed in the ensuing movement. Of the next group, Op. 68, No. 2 is a marvellously mystic contrast to the decidedly regal air of its immediate predecessor. The side-by-side F Minor offerings reveal Chopin’s level of despair, with just a prophetic last breath of hope (Op. 68, No. 4) followed by a darker hued, but eternally optimistic entry from a much earlier time (Op. 7, No. 3).